The word “ewok” was never spoken in Star Wars: Return of the Jedi. It did, however, appear in the credits. 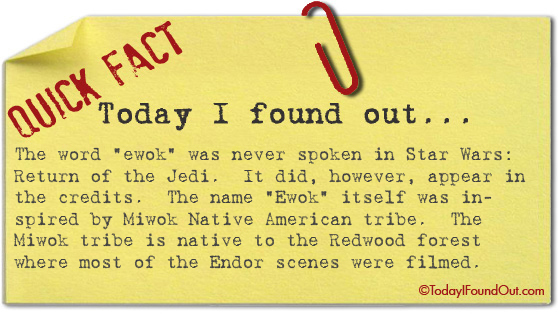 The name “Ewok” itself was inspired by Miwok Native American tribe. The Miwok tribe is native to the Redwood forest where most of the Endor scenes were filmed. My world just fell apart.